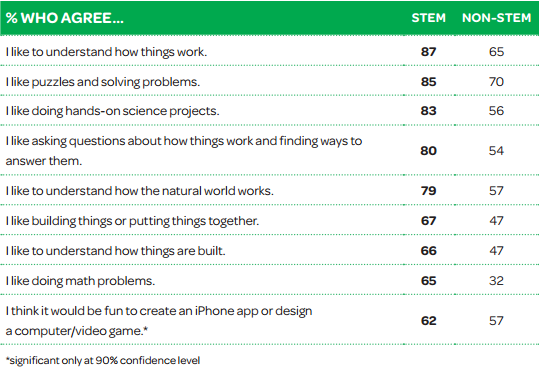 The Girl Scout Research Institute (GSRI) put together a report designed to "explore how girls can better become engaged in STEM through examination of what girls themselves say are their interests and perceptions about these important fields." GSRI then asked a group of girls interested in STEM and a group of girls not interested in STEM the same questions. 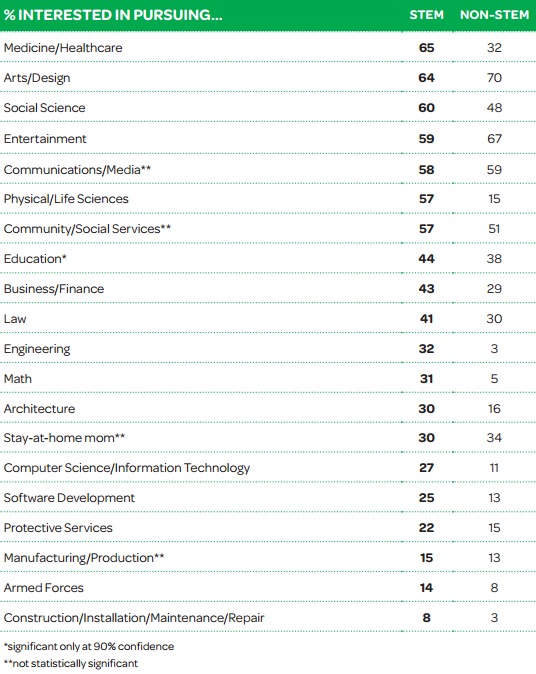 As opposed to past stereotype, girls are interested in STEM and the GSRI research demonstrates that this interest just needs to be primed. 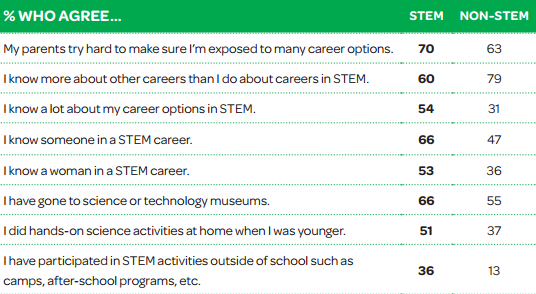 The challenge, however, is how to turn girls' interest into action and make STEM the girls' first career choice. 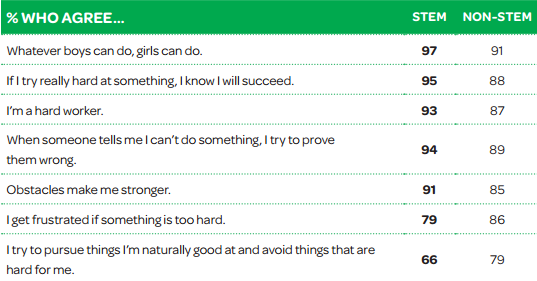 As a Girl Scout sponsored FRC team we strive to transform interest into action. This is apparent in our most recent class of alumni where 5 out of 7 went to to major in a STEM field.